W najnowszym numerze „African and Asian Studies” ukazał się artykuł Andrzeja Polusa i Wojciecha Tycholiza pt. Why is it Taking so Long? Solving the Oil Extraction Equation in Uganda. Andrzej Polus pracuje jako adiunkt w Instytucie Studiów Międzynarodowych, Wojciech Tycholiz jest asystentem i doktorantem na Wydziale Nauk Społecznych. 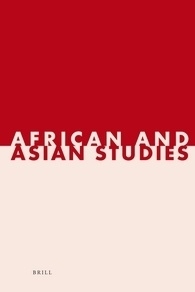 Publikowany przez wydawnictwo Brill „African and Asian Studies” należy do najbardziej prestiżowych czasopism naukowych poświęconych państwom rozwijającym się. Czasopismo to znajduje się na tzw. „liście filadelfijskiej”, zaś jego Impact Factor wynosi: 0,324. Poniżej zamieszczony został abstrakt artykułu. Zapraszamy do lektury! During the past decade, Uganda has become one of the world’s fastest-growing economies, but the country’s development needs have not yet been met, and the government’s revenue sources are less than sufficient to satisfy them. Therefore, when oil was discovered in 2006, hopes were raised regarding Uganda’s future, since the oil money could provide substantial funds enabling a transformation of the country. According to the latest figures, Uganda has 6.5 billion barrels of oil, which makes the country the third-largest oil holder in the SSA region (after Nigeria and Angola). Unfortunately, even though almost a decade has passed since the first oil was struck, production figures have remained at zero. Given the huge needs of Ugandan society and political rhetoric of Uganda as a developmental state, it is perplexing that it is taking so long to start extracting oil in the country. The major objective of this paper is to identify and analyse major causes of oil production delays (underdevelopment of infrastructure, environmental aspects, disputes with international oil companies, legal framework adjustments, and above all vast patronage network) as well as to contribute to a better understanding of recent dynamics in the Ugandan oil sector.